It was one of the first beautiful Spring weekends and Emily and I had just finished walking on the Pellissippi Greenway. Emily isn’t into cemeteries like I am but she humors me when we are out and I want to go look at one. I didn’t have a particular destination in mind but I figured in Hardin Valley there would be sure to be a graveyard close by. So I asked Siri and she didn’t disappoint me. Stoney Point Baptist Church Cemetery was about three miles away, near Melton Hill Park, on one of those country roads that looks like it is in the middle of nowhere but is surprisingly close to civilization. Just before the church we passed a new subdivision, but the graveyard backs up to a cow pasture. It’s a beautiful graveyard, and possibly the most well-tended one I’ve seen. Not only that, but probably two-thirds of the graves had flowers on them, even the oldest ones. When I was a little girl visiting graveyards in the Smokies, I’d feel sad about the baby graves. Yet those seemed like long-ago tragedies, born of poverty and antiquated–or absent–medical care. I didn’t expect to find so many infant graves, in every cemetery I’ve written about. I don’t get used to them. My heart aches for the pain their parents must have felt. Look through these slowly and read some of the inscriptions they chose. As I wrote, this cemetery was well-maintained, and its caretaker was in fact mowing the grass when I arrived. I had a chance to chat with him and to compliment him. He told me that the few broken stones I saw were the result of a marauding cow from the pasture next door! He also mentioned that he sometimes puts flowers on one of the baby graves himself. The caretaker mentioned that many of the families buried here are related to one another, and that the cemetery is still in active use. Allison, Dunaway, Hewitt, Houk, Lee, and Pitts are some of the most common family names. The church acquired the property in 1915, and the earliest burials were members of the Allison family in 1931. The most recent burial, in 2014, was also a member of the Allison family! This remains a very active cemetery, with several burials in the past decade. Finally, these stones tell only part of a tragic story that I’m hoping one of my readers may be able to fill in for us. Sam Lee Road is very near to this church, and here’s Sam Lee below. [CORRECTION: This Sam Lee is a cousin to the man for whom the road is named–see interesting and informative comment below.] His wife and his son (I’m assuming) are buried here as well and died on the same day. I have not been able to find out what led to their deaths–a car wreck, perhaps? Anyway, it’s a reminder that every headstone has a story behind it and a real person buried beneath it. UPDATE: A reader has confirmed for me that Mrs. Lee and her son were tragically killed in a house fire. To see the rest of my graveyard posts, click here. April Goes out with a Bang! i really enjoy your graveyard visits which you share with us. Beautiful pictures! My family is there. I’m not ready to go yet, but I already have my place there set. When daddy died in 1985, he left the church a piece of land to extend the cemetery since our farm connected to the back of the church cemetery (the lower back part was all wooded area until daddy passed and we learned then that this was one of his last wishes). All that subdivision was part of our farm (about 70 acres) and it was the most wonderful thing to grow up on a place like that. I still live on the other side but I miss what it used to be. There was so much space I could roam and play in the woods for hours at a time and daddy had acres and acres of gardens all through there. My brother and I made roads through all of that with the farm tractor (which we were both already driving when we were 10 or 12 years old) and we would come out the other side near the church. Such great memories. That cemetery has the most beautiful sunsets and I spend time there talking with my mom and dad and other family. It is a place of peace. Thank you for loving it as much as we do. This picture of Sam Lee is actually a cousin of the Sam Lee that the road is named after (Sam Lee (SR.) is my great-great uncle). Mrs. Lee and Henry Lee did perish in a house fire at the top of Campbell Sta. road in 1960. Sam Lee (SR.) died along about 1942,1943. Interestingly enough Sam Lee road was misnamed. Originally, what is now Swafford road to the bridge was to be named Sam Lee (as my great-great grandfather owned to the bridge). The section from the bridge to Guinn road was to be named Swafford. What is now Sam Lee road was to be named “Sarat Hollow Road” (forgive spelling). This information comes directly from the oldest living relative of Sam Lee at 98 years of age. Billy F Hewitt was my mother’s(Flossie Mabel Hewitt Easter)baby brother. I grew up in Stoney Point Baptist Church. It is truly one of the last old country cemeteries. Thanks! I’m glad you came by! I really enjoyed reading this. I agree — so sad to read the headstones for the babies. Great post! And, yes, it’s a beautiful cemetary! Thank you for this. I live in the neighborhood just south of here. I can see part of the church/cemetery from my house an we pass by it often on our way to our church. But it’s good to stop and think about the significance of the lives there. Oh, I’m so glad you commented! I always love hearing from people who know the places I write about personally. Beautiful day, and that graveyard is very well looked after. Lovely to have a caretaker who looks after it so well and occasionally puts flowers on the graves. Nice photos too, thanks for sharing your adventure with us! Thank you, Hannah, I am glad you enjoyed it! My parents, grandpsrents, in laws , aunts, uncles, cousins are all buried here . Thank you for your article , glad you enjoyed your visit to our country grave yard. My husband and I already have a headstone there. If you ever want to visit again , Decoration day is the 1st Sunday in May, it is alive with flowers, and family tributes, and very beautiful. Thanks so much for commenting! 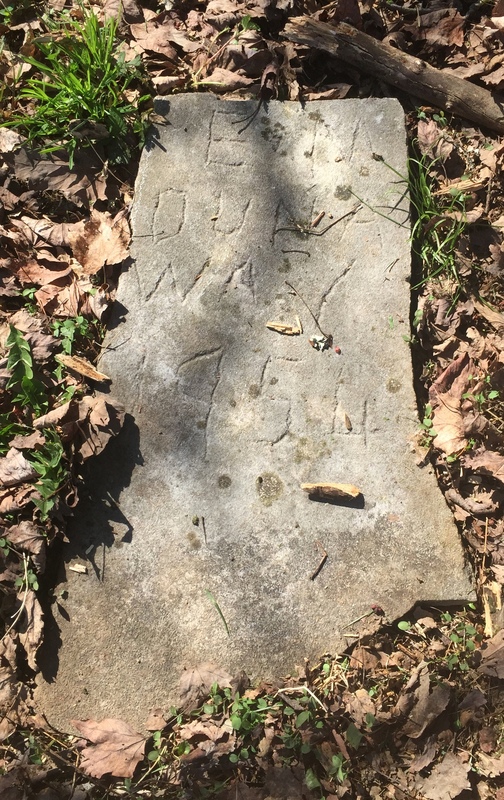 I am thrilled to hear from people who have ties to the places I write about, and I think it’s wonderful that y’all have decoration day and take such good care of your cemetery.